There are a lot of people out there who want to play tennis, but they don’t know how or where to begin. So I decided to spend a few days putting together the ultimate guide on how to play tennis for beginners. Let’s get started. The secret to finding the perfect racquet is a combination of two things: research and trying out the racquet for yourself. You can borrow a racquet to play tennis, but if you want to start playing on a consistent basis, you should invest in a racquet according to the criteria below. Beginners should generally use racquets with a head size of 100 square inches or more. A bigger head size gives you a better chance at making contact with the ball. Racquets with a head size of 90 square inches or less are for advanced players and should usually be avoided by beginners. A new tennis player should usually play with a lighter racquet, which is no more than 300 grams (unstrung, i.e. without strings in the racquet). All players must use the right grip size for their racquet. When you search for your racquet, try out different grip sizes and see which one feels right for you. For adults, the grip size generally ranges from 4 2/8 to 4 1/2. For kids, the grip size will be under 4 (unless you have a very large-handed child). The standard length for an adult racquet is 27 inches. Racquets longer that 27 inches add power and reach but may decrease control and maneuverability. If the racquet is for a child (under 12), consider having him or her try a shorter racquet. Kids racquets range from 19 to 26 inches long. The power level of a racquet will either be low, medium, or high. I advise that you go with medium: a low-powered racquet is tough to handle as a beginner, while a high-powered racquet may cause you to shorten your swing and rely on the racquet’s power rather than proper form. Once you learn the right technique, it might be difficult to control the ball with a high-powered racquet. Try to find out what power level feels best for you. I used words like “usually” and “generally” several times when suggesting racquet specs. I did this for a reason: every person is different. One beginner might be extremely athletic and strong, and may find a heavy, small frame to be the most effective. This is why you should demo racquets before you buy them. Most online and local tennis stores allow you to demo a racquet for free or a nominal fee. The online stores will let you select racquets to demo, ship you the racquets to try for a few days, and then you ship the racquets back to the company. Try a bunch of racquets out before you buy so you don’t end up purchasing a racquet that you don’t like because you didn’t have a chance to play with it. While I am not a beginner, the Babolat AeroPro Drive GT will suit many players just starting out for a few reasons. First, the head size is 100 square inches, giving the player a decent amount of racquet to hit the ball with. Second, the Babolat AeroPro Drive GT weighs 10.6 ounces, which is a good racquet weight for a beginner. Third, this racquet makes it much easier to hit with spin. Rafael Nadal has used the Babolat AeroPro line of racquets to win a staggering number of Grand Slam titles. I use the Babolat AeroPro Drive GT and I recommend you try it out because I have seen people of all skill levels use this racquet successfully. It is one of the most popular frames of all time. 1. HEAD Graphene XT Instinct S: 102 sq inch, 255 grams, medium power. 2. Volkl V1 Classic 2015: 102 sq inch, 286 grams, medium power. 3. Wilson Blade 104: 104 sq inch, 289 grams, low/medium power. 4. Babolat Pure Drive Team 2015: 100 sq inch, 286 grams, medium power. Tennis shoes come in different sizes, widths, cushioning, durability, and comfort levels. If you want to play a lot of tennis, consider getting a tennis shoe with an outsole guarantee. This means that if you wear out a shoe (i.e. sole worn through) within a certain period of time (usually 6 months), then you will get a new pair of those shoes (or a newer version) for free! You need to use tennis shoes because they are made for both lateral and forward/backward movement. Running shoes, for example, do not allow for safe side-to-side movement. You risk injury by using a non-tennis shoe. As a beginner, you can get away with using a basketball or cross-training shoe, but I recommend you invest in a pair of tennis shoes. The Adidas Barricades are likely the most popular tennis shoes of all time. I have used just about every Adidas Barricade shoe out there, from the Barricade II’s up to the Barricade VII’s. The reason is because it is a very durable shoe, has a 6-month outsole guarantee, and has outstanding stability. I have found the Adidas Barricade V to be the most comfortable out of the entire series. This is illustrated by the fact that Adidas brought back the Barricade Vs even though they are up to the Barricade 8+ and their newest shoe is the Adidas Barricade 2015. I can also vouch for the Adidas Barricade IIs as these are perhaps the most comfortable and lightest out of the series that I have tried, but I don’t see them on sale anymore these days (try ebay). This year I decided to try the Asics Gel Resolution 5 shoe, and I am extremely happy with my purchase. The Asics Gel Resolution 5 required no break-in-period and was comfortable right out of the box. There is a reason why Asics jumped from the 11th to 2nd most popular shoe brand within a couple years. The GR 5s are light, pretty stable, and also offer a 6-month guarantee. The Gel Resolution 6 is the latest version that is currently sold by Asics. I will get my hands (and feet) on this shoe and put a review up on Tennis Files within the next few months. If you prefer a light and more comfortable shoe, I would go with the Asics Gel Resolution 5 or 6. For a more stable and durable, but heavier, shoe, go with the Adidas Barricade V.
No matter what shoe you go with, it is best to try the shoe on before you buy. Do some research, test a few shoes with light footwork movements, and then pick one that best fits your requirements and is most comfortable. Selecting tennis balls isn’t nearly as complicated as tennis racquets or shoes. Most of the brands are pretty solid, such as Penn, Wilson, and Slazenger. I play with Penn Championship Extra Duty Tennis Balls. A can normally contains three tennis balls. They make tennis balls for different surfaces, but as a beginner, it won’t make much of a difference. There are also pressure-less balls and tennis balls for kids, but you can never go wrong with a regular can of tennis balls. Go to a tennis court and hit with a friend. Get a feel for moving on the tennis court and making contact with the ball. Don’t think that just because you are not playing well you should give up. You are a beginner! Everyone starts somewhere. Roger Federer couldn’t beat many people when he first started playing tennis. Have fun and try to remember what troubled you most on the court. And don’t worry about your level of play right now: the steps that follow will ensure that you keep improving your tennis game. 1. Tennis Maps: Plug in your address or zip code, and presto. A map with a ton of flags indicating tennis court locations will pop up. Click the flag and then “more info” for a detailed map of the tennis court. Pretty cool, and helpful! 2. Global Tennis Network: This site not only lets you search tennis courts around your area, it also connects you with other tennis players. You can find tennis leagues, ladders, and tournaments on the Global Tennis Network as well. Pretty cool. 3. Tennis Round: TR makes it easy to find players to hit with according to skill level. You can send and receive text messages and emails to connect with other players on Tennis Round. You can report your scores, accumulate points, and see results of other players on the site. Go to the local library or bookstore and read tennis books. One of the best things you can do as a beginner is to immerse yourself in the game by reading about tennis. As a beginner, I recommend you read books about tennis technique to learn the general principles of stroke mechanics and footwork. You can also read mental training and books about the pros, but as a beginner your priority should be to learn correct technique and practice it on the tennis court. First you need to learn how to play: the mental game can come later. And if you don’t know how tennis scoring works, reading books will help that too: most beginner tennis books will teach you the basic rules of tennis. 1. Inner Game of Tennis (W. Timothy Gallwey): Arguably the most popular tennis book of all time. I love this book because it focuses on the mental side of tennis and shows us how to perform our best on the court, especially in high-pressure situations. The Inner Game of Tennis is a timeless classic. If you are having trouble overcoming mental obstacles or want to know how to properly approach the game, you need to get your hands on this book! 2. 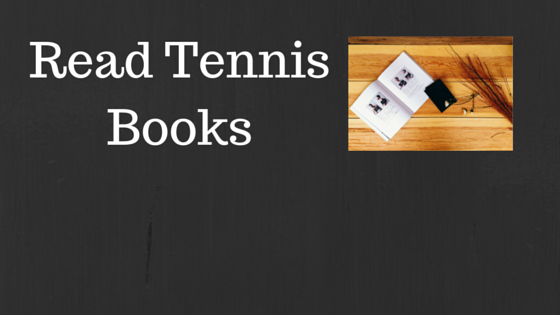 Tennis Fundamentals (Carol Matsuzaki): This book will teach you the basics about tennis. It has plenty of pictures and is easy to follow. A great book for those just starting to play tennis. It was published in 2004, so you may be able to find it at your local library. 3. World-Class Tennis Technique (Paul Roetert/Jack Groppel): This book was published in 2001, and has a ton of illustrations and explanations from several of the most legendary tennis coaches of all time. I remember reading this book in the library when I was a teenager. Hopefully they will have this book at your library too. Videos are a fantastic way to learn how to play tennis. Most people learn skills faster when presented to them visually. When you watch tennis videos, take careful notes on how players use their entire body to hit a shot, and the position of the racquet throughout the stroke. Compare what you see to how you hit your strokes and figure out the differences. I especially like watching slow motion videos of pros because you can see each and every small detail. However, as a beginner, make sure to watch high-quality instructional videos. Sometimes beginners make the mistake of trying to emulate professionals after seeing advanced techniques that are best implemented later on in a player’s career. 1. Feel Tennis Instruction: Tomaz from Feel Tennis Instruction emphasizes using your body’s natural mechanics to play tennis more efficiently. His philosophy makes sense and appeals to those who want to feel more relaxed and biomechanically sound on the tennis court. I interviewed Tomaz on Episode 6 of The Tennis Files Podcast, which you should definitely check out! He also has a fantastic online course called Serve Unlocked that will help you improve your tennis serve. 2. Jeff Salzenstein: Jeff Salzenstein is a former Top 100 ATP pro who has a bunch of short but helpful videos on tennis technique. He also has specific tips like “elbow the enemy” and “the buggy whip” that you may find to really help your game. I also recommend that you listen to my interview with Jeff on Episode 28 of The Tennis Files Podcast! 3. Fuzzy Yellow Balls: Will Hamilton has put together a bunch of fantastic instructional videos that breaks down stroke mechanics in an easy to understand fashion. He also happens to live around my neighborhood! To maximize your tennis game, it is vital that you have correct technique. If you have bad technique, it will take a lot of time to fix later down the road (see #10 of this article). Make sure you develop efficient stroke mechanics so that your strokes will not break down under pressure. Find optimal technique and practice it as much as you can (especially your serve!). When you first start playing, remember that it helps to use a shorter backswing. Many players like to overcomplicate strokes by taking big backswings. However, as a beginner, a longer backswing can make it harder to time your shots. Once you get the timing and mechanics of hitting a stroke down first, then you can add in a lengthier backswing if needed, but only if it helps make your shot more effective. You also need to focus on excellent footwork. The foundation of tennis is getting into position to hit the ball. If you can’t get into position, then you won’t have a chance to use the strokes you learned. Lastly, it is important to have fun while you play tennis, especially when first starting out. If you aren’t having fun playing tennis, you might as well do something else. Don’t stress on the fact that you aren’t very good at tennis. Instead, enjoy the challenge, health benefits, and different skill-sets that you will develop and improve by playing tennis. You are a lot more likely to keep playing tennis if you can enjoy it. If your budget allows, find a good tennis coach and take lessons. Having a coach to examine your technique and give you live feedback can accelerate your tennis growth immensely. Instead of spending hours to figure out a flaw and the solution, a coach can spot issues in your game and give you a solution instantly. Without a coach, you may never recognize your technical flaws, and you will have a tough time changing your technique later down the road. 1. Private Lessons – One-on-one. More expensive but you get all the attention from the teaching pro. Highly recommended if you are serious about your tennis game. 2. 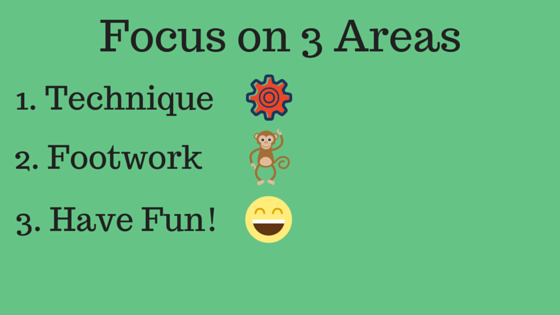 Group Lessons – Two or more students to one coach. Cheaper. Recommended if you want a more social atmosphere or cannot find players to hit with. Allows the instructor to analyze your play against other players. 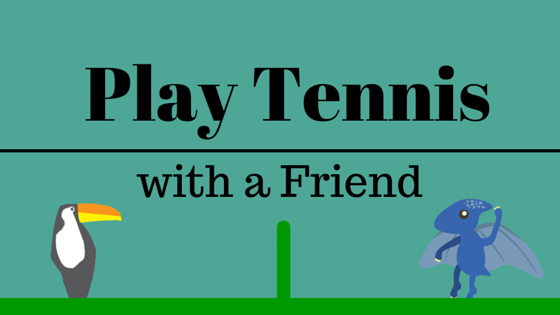 Talk to other tennis players and get recommendations. Call a tennis club in your area and ask them for their best or most popular coaches. If possible, watch the tennis coach while he teaches a lesson to figure out if he is any good. I suggest that you first find the name of some coaches that interest you, and google/facebook/linkedin research them to see their resume. Chances are a more experienced and successful coach will be better for you than one without as strong of a record. You can also use PlayYourCourt and CourtPlay to find tennis coaches. After answering a couple questions, you’ll be matched up with tennis coaches in your area. PlayYourCourt (use code “TENNISFILES” for $25 off a lesson package) and CourtPlay provide players with a quick and easy way of finding a good tennis coach using the internet or a smartphone. Tennis clubs offer group clinics for all skill levels. This is an excellent way to start learning how to play tennis. There will usually be multiple instructors at a tennis club who teach group and private lessons. The great thing about tennis clubs is they make it easier to find other players to play with. It is also nice to feel like you are part of a community when you are a member of a club. At some places, you must be a member of a club in order to participate in private or group lessons, or to use the club’s courts. However, some tennis clubs can be pretty pricey. If you can afford it, join a tennis club. But only after you inspect the facility, find out about the coaching staff and amenities, cost, and make sure the location is a good fit for you and your schedule. You can find tennis clubs near your area on tennismaps.com (search results show tennis courts and private clubs). As a beginner, I don’t think it is absolutely necessary to join a tennis club. But if you think it will benefit your game, go for it. 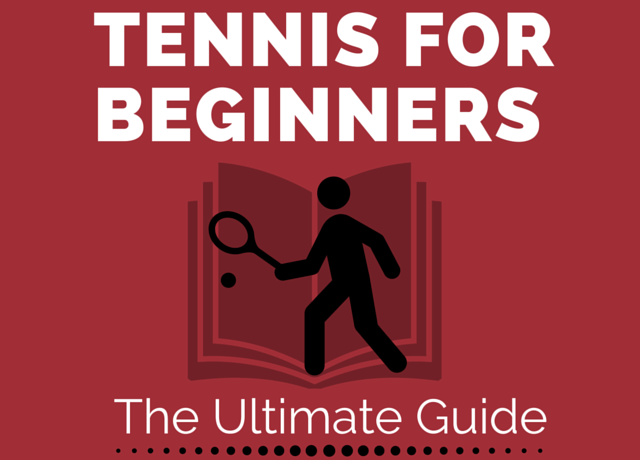 I hope you found my ultimate guide to tennis for beginners helpful. If there are other things you want to know about as a beginning tennis player that were not covered in this article, comment below or email me at mehrban@tennisfiles.com and I will add them to this guide! If you enjoyed this post and think it is worth sharing, please click here or on one of the share buttons below. And subscribe to my newsletter below to get my free eBook, The Building Blocks of Tennis Success, to help you improve your tennis game! I wish you all the best in your tennis journey!